Organic products provide the most rewarding option for maintaining a beautiful, healthy, disease free lawn. In this day and age, everything is fast-paced, convenient and results driven. We like to drive the fastest cars, eat at the quickest restaurants and wait in the shortest lines. If you are making the plunge to go organic, be prepared to wait. If you truly want to be organic you have to let go of the control and let nature run its course. Regardless of your approach, we are all after the same outcome: a beautiful, healthy, disease free lawn. Can we prevent that? Yes, to some extent. Our homemade liquid compost is designed to do a majority of the grunt work when it comes to disease prevention but it is no silver bullet. 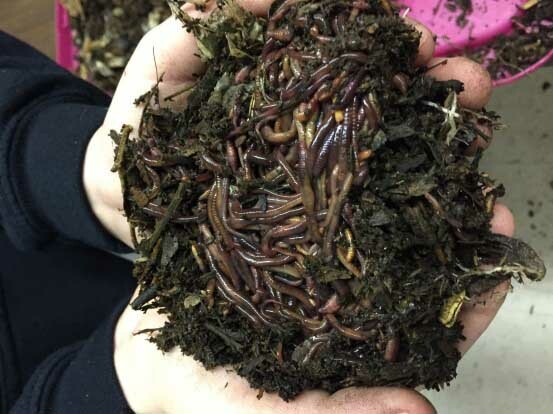 We extract a large amount of fresh local worm castings (worm poop) into the liquid compost extract which provides a huge population of protozoa, flagellates and beneficial bacteria and fungi. These are top of the food chain in the microbiology world and do much of the heavy lifting in keeping soil borne insects and fungal/bacterial issues at bay. Our ideology is to limit interventions with both chemical and organic pesticides to sustain an environment that Mother Nature intended. In other words, if it is viable for things to be worked out on their own, then we choose that route first. Pesticide use can result in a sterilized environment which can disrupt the natural order of prey/predator that occurs in a properly functioning ecosystem. Any products, chemical or organic, used to treat a pathogen not only eliminates the unwanted target, but can also deter the beneficial components. This results in plants becoming vulnerable and more susceptible to pathogens, and can also make your landscape more dependent on pesticide treatments. For example, scale is a very common pathogen that attacks Crepe Myrtles. In nature, ladybug larvae are the predator and scale is the prey. 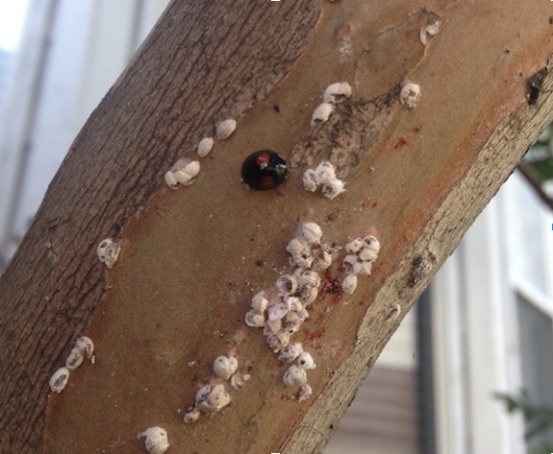 If a client has active scale on their Crepe Myrtle and it is not out of control, we find it to be much more beneficial to try and let the ladybug larvae take care of it first. While limiting intervention is a goal of ours, some situations do call for interference. If you are a customer of our Soil Building Program, it is possible for issues to arise in between our normal visits. If you think that something is going on out of the ordinary, it is always good to contact us so we can address it before it gets out of control. If you’re going to be organic, changing your perspective is valuable to your happiness with your decision. After many years of experience we’ve come to understand the importance on the emphasis of balance in our environment. With enough trust and patience, we promise you that going organic will benefit you in the long run.